Harry Styles knew he wanted his tour to be more than just a series of concerts. He wanted to make an impact. That’s why he partnered with REVERB. REVERB works with Harry to support nonprofits, empower his fans to take action for a better future, and reduce his tours’ environmental footprint. After becoming an international sensation with One Direction, Harry Styles began a solo career with his self-titled debut album in 2017. 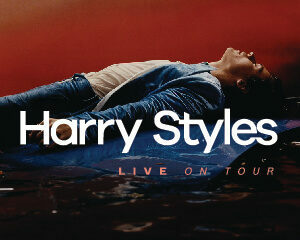 As he prepared for his first solo world tour, Harry reached out to REVERB to help him develop a new way of touring. We teamed up to create a program that realized Harry’s goal of using his concerts as a way to create a better future and reduce his environmental impact, while empowering his fans to take action of their own. We couldn’t be more excited to work with Harry Styles and his tour as we all work toward a better future for people and the planet.